Hat tip to Harry Mitchell Watch for putting up the latest political ad by conservative Republican, David Schweikert. This ad signifies that the 2010 General Election ad campaign is officially off to a start. Watch as Harry Mitchell runs from a citizen reporter wanting to know if he will follow through with his opposition to the Pelosi-Obama healthcare bill. Harry runs off and as we know, broke his promise and voted for it. Phoenix–Like countless enterprising American immigrants before her, Cindy Vong came up with an inspired business idea. Ms. Vong, a licensed nail technician who owns LaVie Nail Salon in Gilbert, last year opened a second business called Spa Fish Therapy. The therapy, which is popular in many Asian countries and in other states, uses small Garra Rufa fish imported from China. The fish nibble on the customers’ feet, removing dead skin and providing a relaxing experience in a safe, sanitary environment. Clients paid $30 to plunge their feet into a clean tank filled with fish. Everything was going swimmingly until an inspection by the Arizona Board of Cosmetology. The Board, which is comprised primarily of members of the profession, decided that the fish were performing pedicures and thus subject to the Board’s regulatory control. Because fish cannot be sterilized, the Board ordered Spa Fish to close, which cost Ms. Vong a substantial financial investment and lost business, leading her to lay off three employees. The Goldwater Institute Scharf-Norton Center for Constitutional litigation today filed a lawsuit against the cosmetology board, charging that the order exceeds the Board’s jurisdiction and violates Ms. Vong’s freedom of enterprise under the state and federal constitutions. For more information on Vong v. Sansom and other Goldwater Institute lawsuits visit www.goldwaterinstitute.org/litigation. The Goldwater Institute is an independent government watchdog supported by people who are committed to expanding free enterprise and liberty. The operators of Tucson International Airport have scrapped the use of racial preferences in awarding concession contracts. That is in sharp contrast to efforts by the City of Phoenix to preserve race-based programs at Sky Harbor International Airport. The Goldwater Institute reported in October that the Disadvantaged Business Enterprises (DBE) program at Sky Harbor has allowed lucrative airport concession leases to go to a small group of political insiders. The owners of companies deemed “disadvantaged” are often little more than a name on the lease, brought in to meet requirements for participation by minority and woman-owned businesses that are set by Sky Harbor officials. Among the biggest beneficiaries of the program at Sky Harbor is Maricopa County Supervisor Mary Rose Wilcox, owner of a DBE-certified business which is part owner of a Chili’s restaurant franchise in Terminal 4. Airport operators in both Phoenix and Tucson suspended their use of “race-conscious” methods after a 2005 federal court ruling required detailed disparity studies to justify using race as a factor in awarding concession contracts. If airport operators cannot meet their goals through race-neutral means, they can resort to “race-conscious” preferences based on race and gender, if they can prove those methods are necessary to offset the effects of discrimination. Even though Tucson did not attempt to preserve the preference program it had been using before the court ruling, it still has a goal that 16 percent of airport concession sales will be attributed to firms owned by minorities and women. But airport operators will achieve that goal without resorting to preferences that take race or gender into account, according to Paula Winn, spokeswoman for the airport authority. Phoenix, on the other hand, has gone to great expense to justify the preference program at Sky Harbor. Phoenix officials commissioned a disparity study in 2007 that to-date has cost taxpayers more than $600,000. The study results are due in December. While the study has been underway, Phoenix extended leases issued while race and gender preferences were in effect. Regardless of the study results, on the 2010 election ballot Arizona voters will have their say in whether or not government offices can use race and gender preferences in contracting. Mark Flatten is an investigative reporter for the Goldwater Institute. My apologies for missing this announcement and I even live in Chuck’s district! (Mesa, Arizona) Arizona State Senator Chuck Gray announced today that he will not seek re-election to the State Senate in 2010. Senator Gray has served almost 18 of the last 20 years in public service. Leaving the family construction business at the age of 32, Gray served as a Mesa police officer from 1990 to 2000. In 2002 he was elected and in 2004, re-elected to the Arizona House of Representatives. Gray was appointed to fulfill Senator Marilyn Jarrett’s term in the Senate at her passing. Gray was then elected to the Senate in 2006 and re-elected in 2008. Rep. Rich Crandall is likely to contend for the state Senate seat from east Mesa that Chuck Gray is vacating. Crandall announced a Senate exploratory committee, noting that Gray does not intend to seek re-election. Gray, R-Mesa, was not immediately available for comment. It’s a bit of a surprise that Gray is not seeking another Senate term — he has a campaign committee in place and last amended his report a year ago, according to records in the Secretary of State’s office. As Senate majority leader, Gray has had a rocky year in the state Senate (who hasn’t?) and has not gelled well with the reconfigured leadership team. Gray is in his second and a half term in the Senate; he moved to the upper chamber from the House in 2006, filling the vacancy created by Sen. Marilyn Jarrett’s death. Crandall is in his second term in the House and chairs the House Education Committee. A move to the Senate is tempting, especially since the Senate Education Committee chairmanship will be open after 2010, as current chairman John Huppenthal is term-limited. AHCCCS has exploded to $5 billion annually, more people enrolled in AHCCCS than in K through 12!!! Hospitals in trouble financially (in 2003, 77 border hospitals filed bankruptcy), crime impact (majority of violent crime involves illegal aliens), neighborhoods in trouble, drug trafficking, home invasions, our election process violated, and I can go on. As long as we have a welfare state, in consideration of the fact of Federal abdication of their responsibility to protect our borders, we (Arizona) must necessarily resort to ‘self-help’, and let the shirkers and the cowards be darned. “A person (including a group of persons, business, organization, or local government) commits a federal felony when she or he: assists an illegal alien she/he should reasonably know is illegally in the U.S. or who lacks employment authorization, by transporting, sheltering, or assisting him or her to obtain employment, or encourages that illegal alien to remain in the U.S. by referring him or her to an employer or by acting as employer or agent for an employer in any way, or knowingly assists illegal aliens due to personal convictions.” Federal Law- Section 8 USC 1324. If you suffered a horde of people overrunning your home or community, you would call the cops and have them arrested. Not so with illegal aliens! By lack of law enforcement, illegals recognize the open invitation to illegal entry. The benefits of lawbreaking exceed their wildest dreams. I want to be a city manager. I know nothing about the job or what it entails. And who cares? All I know is want to have get one of these sweet severance packages that city mangers receive when they get kicked to the curb. Like this one. Firing City Manager John Little may have brought some political peace to Scottsdale City Hall, but terminating his contract came with a price. Little’s employment contract granted him a severance package worth six months of his total compensation, which included wages, vacation time and other benefits. The cost of Little’s severance comes to more than $120,000. Are you PO’d yet? No? the story gets better. It is cheaper than what it cost when then-City Manager Jan Dolan left in early 2008. Dolan received $160,000 as part of her voluntary separation agreement. Little’s separation is not the first time this year the city paid to get rid of a charter officer. It cost Scottsdale $105,200 to pay off former City Attorney Deborah Robberson’s contract. Down the road in Tucson, we have a similar story to tell. When Tucson’s City Council fired city manager Mike Hein last year, he too received a six month severance package. The City Council voted 4-3 this afternoon to remove City Manager Mike Hein from office. The vote came after an approximately 20-minute, closed-door meeting to conduct his annual performance evaluation. The motion was approved with no public discussion. Hein, who was paid more than $200,000 annually, left the meeting immediately following the vote saying he had no comment. His employment contract guarantees him six months severance pay. Still not mad? OK try this out. Time to pour salt in the wound. They hired this guy back! Former Tucson City Manager Mike Hein has been hired to head up the county’s Office of Emergency Management and Homeland Security. Hein will make $110,000 a year in the new position. 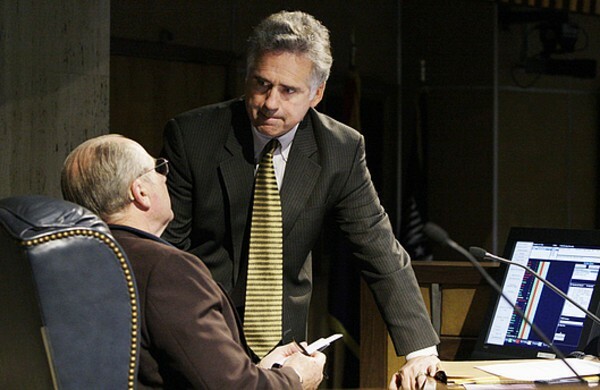 Hein, Tucson’s city manager since April 2005, lost the job in April when the City Council voted 4-3 to fire him. He received six months’ severance pay. He was arrested in September in Oro Valley on a charge of DUI. So I want to be a city manager. It obviously does not matter to anyone in the state how you perform. They are going to reward you handsomely, no matter what. Nice work if you can get it. The Legislature faces a nearly $2-billion deficit, which rises to $3 billion next year. It’s one of 35 states with ongoing budget problems, and experts say its plight is second only to California’s. It took until Monday for the GOP-controlled Legislature to pass $300 million in spending cuts, ones they had already approved in June but which were vetoed by the state’s Republican governor, Jan Brewer. Even so, Republican lawmakers still argued among themselves over how to close what is a relatively small part of the state’s deficit. Looming on the horizon is a nearly $2-billion gap that remains in this year’s $10-billion budget. Next year the deficit rises to $3 billion. In percentage terms, Arizona’s deficit is nearly as big as California’s, and although the state may lack a movie-star governor, there has been no lack of drama in Phoenix for several months. “There are actions they can take, but none of them are easy or pleasant,” said Dana Naimark, president of the Children’s Action Alliance, a local group fighting budget cuts. Noting that legislators have already cut more than $500 million since February, she worried that the state is already reeling from reduced services. “It’s very disturbing, going backwards on so many fronts,” she said. Arizona and California — which still faces a deficit of $20 billion — are only two of the most extreme examples. Thirty-five states are still scrambling to balance their books for the current fiscal year. “We’re seeing this in several states across the country because the revenues continue to drop faster than projected,” said Sue Urahn, managing director of the Pew center. Arizona’s revenues are 16% lower than projections made as recently as this summer. Unlike California, the state grew rapidly this decade. Legislators, awash in tax money, cut taxes and expanded government. For months, Brewer battled with members of her party, arguing that an emergency tax hike was needed to save vital programs. But conservative Republicans refused to raise taxes, saying it would devastate Arizona’s already weak economy. Of course, putting that question on the ballot would require another special session of the Legislature, possibly as soon as December. Politics on the Rocks is proud to announce our annual Christmas Party event on Thursday, December 3rd 6:00 PM at the Intercontinental Montelucia Resort & Spa in Paradise Valley, Arizona. We look forward to seeing everyone at our final event of 2009. The Montelucia is always in the Christmas spirit because of the atmosphere, people, and Christmas lights all around. In 2010, we have many national and local politicians scheduled to speak. Please stay tuned each month for details. We look forward to seeing everyone at the Intercontinental Montelucia Resort & Spa at the “Kasbah” on Thursday, December 3rd 6:00 PM. PS- Please join Republicanville.com today! Who better to determine who’s been naughty or nice this holiday season than Maricopa County Sheriff Joe Arpaio? “America’s Toughest Sheriff” will host his first annual holiday party from 4 p.m. to 6 p.m. Saturday, December 5th at the Paradise Valley home of Jason and Jordan Rose. Proceeds will benefit “The Freedom in Truth Trust,” a J.D. Hayworth Organization. Proceeds from the Sheriff’s future holiday parties are to be determined. A VIP Photo Reception will begin at 4 p.m. with Sheriff Arpaio and JD Hayworth. The cost is $250 per person. The General Reception will take place at 4:30 p.m. for $100 per person. All checks should be made payable to “The F.I.T. Trust.” Personal, corporate and partnership checks are all welcome, and there is no limit for this entity. A major, surprise special guest is likely to be making an appearance as well. The host committee is an impressive collection of Arizona business and political leaders. For more information or to RSVP for this event, please contact Julia Diament at jdiament@roseandallynpr.com or 480.423.1414. Scottsdale, Arizona – Republican Professionals’ free networking event is happening at the classy and edgy SUEDE Lounge Thursday, December 3rd from 6-8pm in Scottsdale with Congressional candidate David Schweikert. With the 2010 election campaigns in full swing, Republican Professionals is proud to present United States Congressional candidate David Schweikert as this month’s featured guest speaker. Mr. Schweikert is the former Maricopa County Treasurer and former Chair of the State Board of Equalization. Along with those accomplishments, Mr. Schweikert also served two terms in the Arizona State House of Representatives. He holds an MBA from the ASU W.P. Carey School of Business and a B.A. from ASU with a focus in finance and real estate. Also joining the party will be Kinsey Schofield who is a publicist, writer, event planner. Ms. Schofield specializes in guerrilla marketing and social media. She has worked as a Fashion and entertainment contributor for Arizona’s largest entertainment weekly, AZ Weekly Magazine, and has appeared multiple times on ABC 15’s Sonoran Living, Fox 10 News, E! News, and MTV. Hosting this exciting event is the popular chic Euro-Asian restaurant and lounge Suede. The event starts at 6pm and given the popularity of past events and the buzz generated by our previous VIP guests, such as John Munger and Kathleen Lewis, Republican Professionals highly encourages you to RSVP early at www.phxrp.com. As always, newcomers are welcome. The purpose of Republican Professionals is to increase the participation of Republicans in the political process, further the goals of the Republican Party, and bring Republicans together so that they may network, volunteer, organize and communicate with fellow professionals.